Tired of the same old island experience? 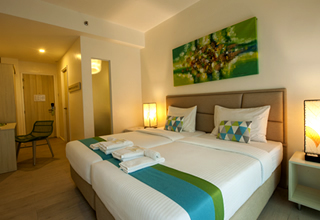 Stay at LIME Hotel Boracay! Like a single piece of lime’s ability to transform the ordinary into extraordinary, this hip and vibrant hotel puts a new twist in the Boracay Island we all know and love. This 3-star quality hotel strategically sits just a 3-5 minutes from the beach at the lively Station 2—where all the fun and action lives. It features 46 air-conditioned rooms that comes in 12 types and available at a price most can afford. Each one has a flat-screen TV, premium mattresses, and a private bathroom with a shower. At the roof deck, guests can lounge in the infinity pool while breathing in the 360° view of the island. The first among the chain of LIME Hotels & Resorts Inc., we’re committed in delivering high value-for-money hotels and resorts with exceptional levels of service and comforts with a zest of Filipino hospitality. Simply put, we’re all about making your vacation effortlessly awesome—because LIME Hotel Boracay, Philippines is the coolest. Hands down. 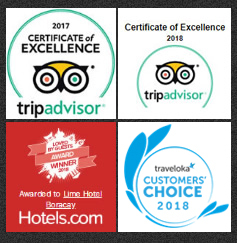 LIME Hotel Boracay Philippines is offering 46 air-conditioned and value-for-money rooms across 7 types; Deluxe Double, Penthouse King, Penthouse Twin, Premier Double, Premier Twin, Superior Family, and Superior Queen. 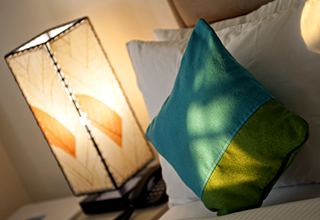 All rooms are decorated with modern furniture and dressed in vibrant colors that are pleasing to the senses. Each one comes with a flat-screen TV, premium bedding, a private bathroom with shower, and Wi-Fi Internet access. 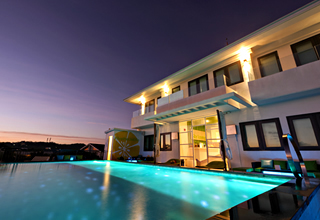 LIME Boracay is built from sustainable materials that does not harm nature and wildlife. The hotel also implements sustainable practices such as reducing water and energy consumption as well as proper waste management–-serious stuff right? Aside from that, we keep things simple and fun all the time. Our hotel features a gorgeous infinity pool plus a lounge area at the roof deck where guests can take in a breathtaking 360° view of the island. Our cool and hip accommodation is neatly tucked at the heart of Station 2. This means you’ll be just 3-5 minutes from the long stretch of white sand plus gain easy access to all the fun shops, cool bars, and popular restaurants in the area. Lime Hotel Boracay is 400 m from D’Mall de Boracay and 600 m from the famous White Beach. In addition, Willy’s Rock is about 2.9 km from our fantastic beachfront location.